Calling all happy couples! 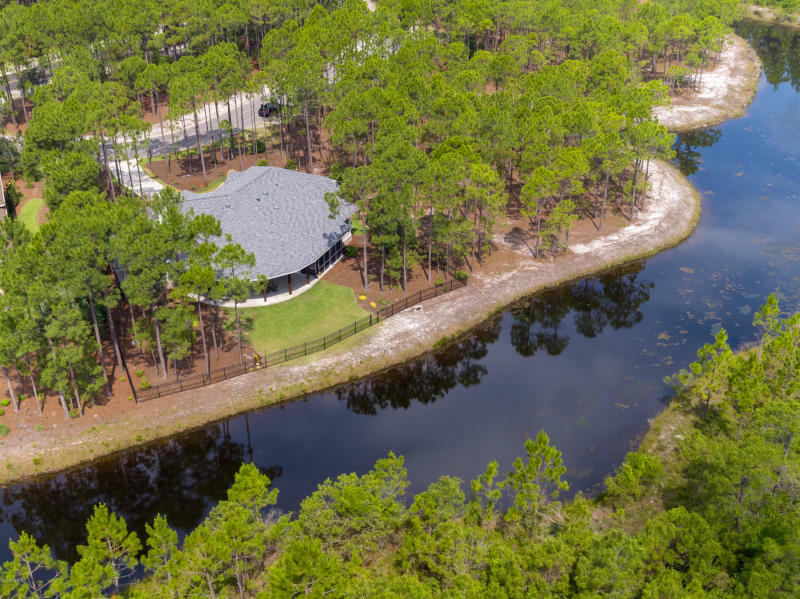 Come and discover 3806 Ridgecrest Drive in Southport’s beautiful St. James Plantation. This 2,400+ square foot, brick home nestled in the desirable Reserve neighborhood, brings the “WOW Factor” to all who enter the inviting front doors. Priced at $519,500, this custom designed home is truly one of a kind. Full of natural light, the open floor plan allows for panoramic views from the front of the house to the back, helping to the bring the outside in. Enjoy 10’ ceiling and 8’ doors in the home’s main living spaces, and beautiful 5” character grade Oak hardwood floors add warmth throughout. 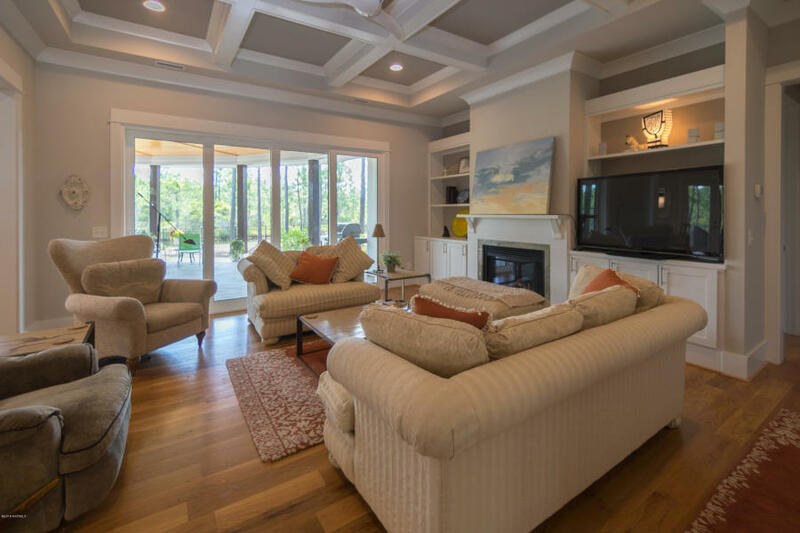 LOOK UP and admire the Great Room’s coffered ceiling, adding drama and interest to the space. The kitchen is a true chef’s delight. Light, bright and well-planned, the “work triangle” is no more than a few steps from sink to refrigerator to cook top. 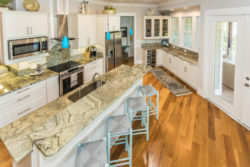 With tons of counter space, a few of the features you’ll love include beautiful custom Markraft cabinets with soft close drawers, sparkling “Typhoon Green” granite countertops, Bosch appliances, an adaptable double oven and an 18-bottle wine fridge. Centrally located off the kitchen is the home’s “Scullery.” Thoughtfully organized, this area keeps everything in its place – laundry, pantry, crafting, and more. Close the door when finished and all appears neat and tidy. Seeing this all-purpose area for yourself is a must! The large Master Suite, complete with a sliding closet “barn” door, is well-appointed and includes a spacious Master Bath. Fantastic views of the backyard are made possible thanks to thoughtful window placement. Lucky visitors will enjoy a large, private guest suite with full bath and scenic views. The cozy third bedroom has a multitude of potential uses; a home office, a flex room for crafts, an exercise space, or for stay-over guests. A 4-unit telescoping slider in the Great Room transports you to the home’s spacious wrap around lanai with screened porch and grilling area. Enjoy outdoor living at its finest in this home! The fenced backyard’s beautiful, natural surroundings are low maintenance. Each morning, admire the amazing southeastern NC sunrises, and in the evening, watch the resident Herons searching for food on the property’s large pond. The extra-large garage offers a heated and cooled workspace for projects. You’ll appreciate the efficiency of this home — utility costs are low and landscape watering is taken care of by the property’s irrigation well. 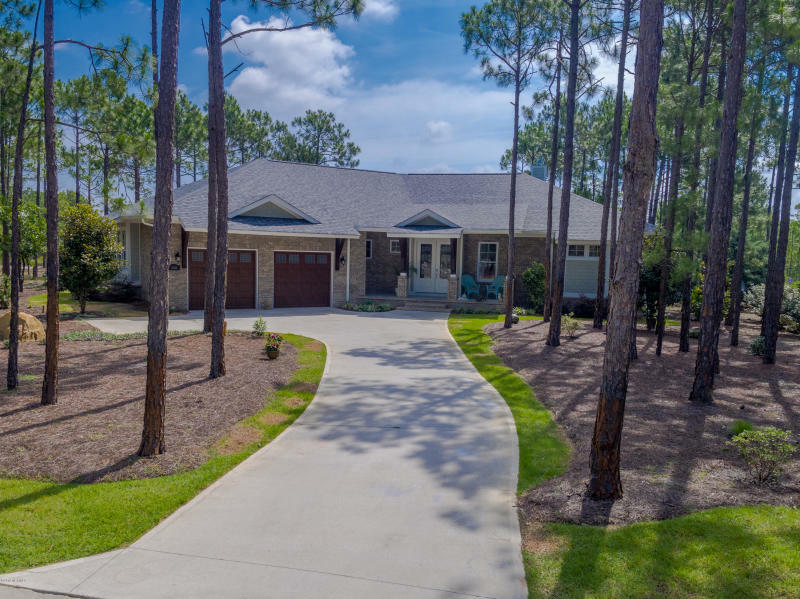 We invite you to discover 3806 Ridgecrest Drive in St. James Plantation today! 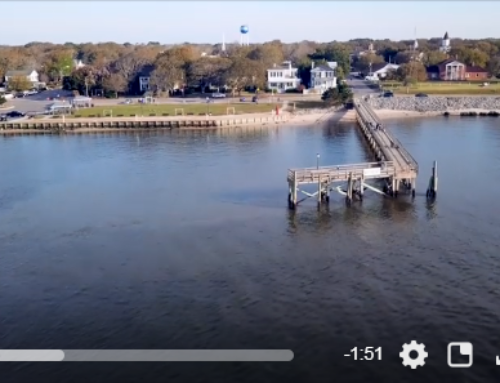 For more information or to schedule a time to see this available home in person, reach out to Hamilton Realty Group: 910.218.1300 or hamiltonrealtygroupnc.com.